Event Management company ! StartUp in Event Industry ! Hire4event ! Guys this is Sagar, let me describe about our company and concept. Since 2011 we were working for Bookmyshow as a vendor for ground operations our first project was F1, the most premium event of the world and we grab lot of experiences from top events in Sports, Concerts, Exhibitions, Live shows etc. We saw the industry is dependent on some big giants in event productions and rental companies. People are dependent on third party event management companies only. Even people who are planning that event don’t know what is the actual cost for equipment which is being used for event production. Sometimes we have seen the production costs are higher than total cost of used equipment. So we were thinking that if we start a company which can help clients to produce their event directly without no third party event company. 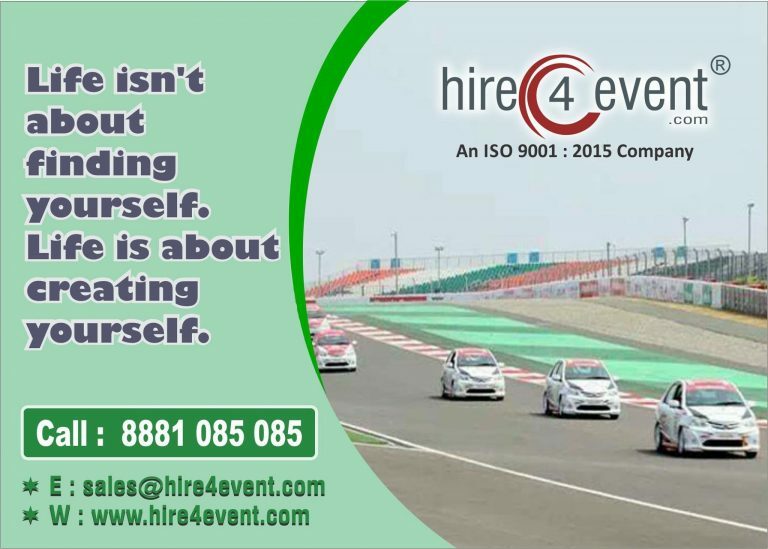 Now we launched a portal Hire4event.com where anybody can plan an event without taking help from third party event management companies. We have completely removed third party event production.You can hire equipment directly from companies who have those equipment. Through our portal people can search Venues, Artists, Decoration services, Management team, Manpower etc. Even we also having our inventory like Sound Systems, Lightnings, Trusses, Special effect accessories, Portable AC etc.Now there is more than 1000 Artists, Venues, Equipment are listed on our website. We are the leading event service provider based in Delhi , We are working since last 7 years and successfully assisted 500+ events. Auto-expo(2 season with 600 manpower per day). Enrique Iglesias live in concert Gurgaon(OML PROPERTIES). Union Minister of Health & Family Welfare. SIGMA SUMMIT 2019 a event of skill council for green jobs (A government of India Enterprise) held at JLN Stadium New Delhi. Prayag Kumbh 2019- Worlds Biggest Event in term of participants and area covered in event. It is kind of a fair where delegates from more than 20 countries participate. Here more than 3 Crore people gathers in a single day at main day this fair.